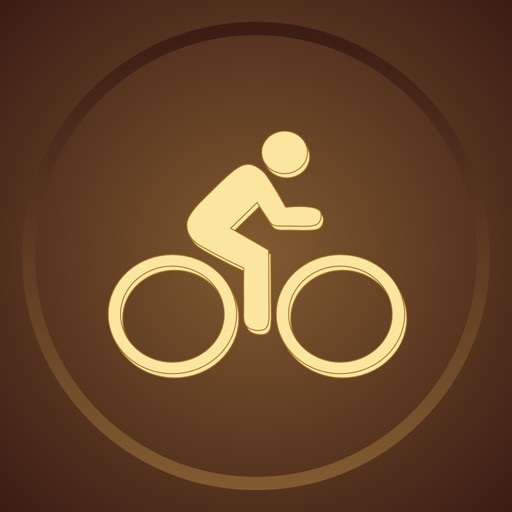 -Get bicycle routes and directions, including drag and drop map pins for waypoints and circular routes. 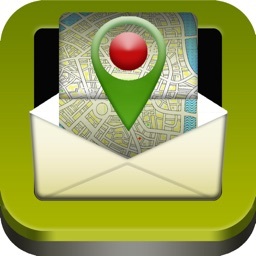 -Integrated POI search, pick destination address from contacts. -Custom Drag & Drop Waypoints (up to 8). You asked, we answered. 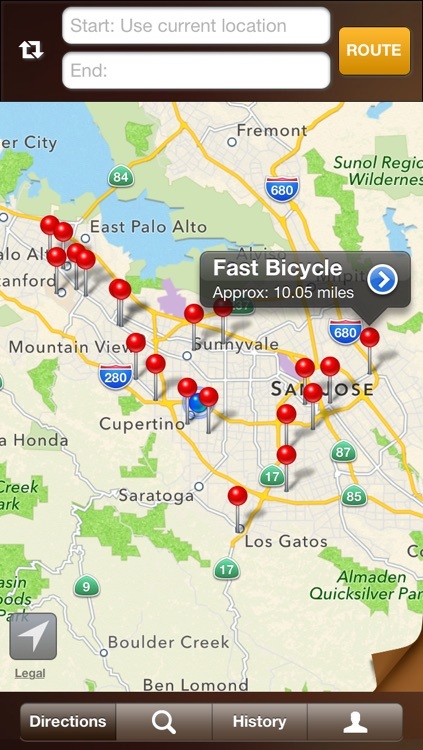 A feedback from a user: "There is a hole in the iOS GPS bicycle apps that allow you to create a custom map, load it and have it give turn by turn directions for the custom map. There are apps that track where you are going or will maintain a course for ride over ride comparison (speed, rate, etc) such as mapmyride, etc. 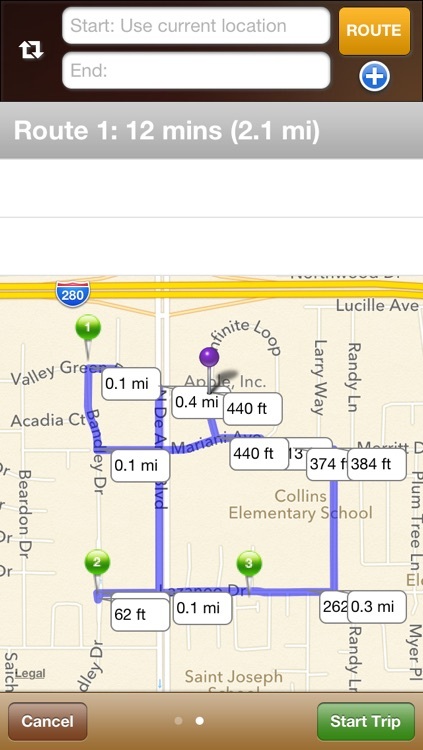 There are apps that will plot A to B routing (in your case offer some alternate routes) and let you follow that route. 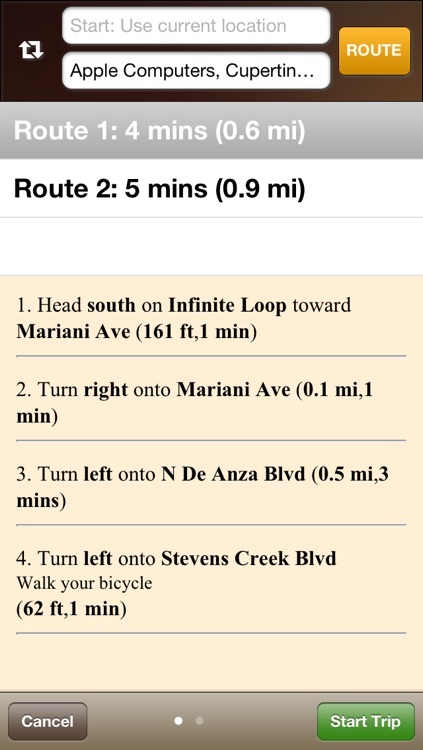 But there isn’t an app that will let you plot out a turn by turn bicycle ride where you want to go. Often you would plan a 50 mile ride that starts and ends at the same place. Your app wouldn’t know how to do that. 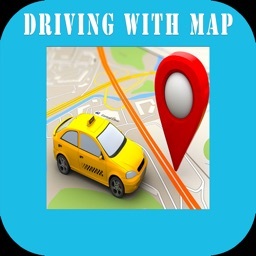 Other apps will let you plot and will track but won’t give you turn by turn directions and that makes it difficult to plot a ride into an area you are not familiar with. But the bomb would be to plot your course, see it on screen as you ride, have it give audio and visual turn by turn directions and then when you complete the ride spit back a bunch of data ……. " A way to upload multiple GPX routes on the map. Note there won't be voice directions as GPX files lack it. Step II( future - end of October) - Expand Google's limit of 8 waypoints. Google charges $10,000/year to provide 23 waypoints. This is kind of useless for app developers such as us. We are working on a workaround solution to provide you an unlimited number of waypoints. This would be published soon. 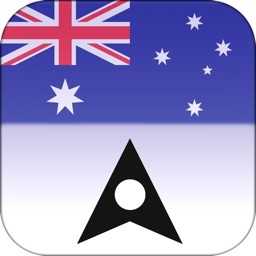 We are working hard to provide other important aspect which is turn by turn directions for GPX imports. Having audio & visual tun by turn directions for an uploaded GPX file is an enormous effort. A GPX file can be a route map of any place in the world even places where Google has not been (e.g. bike trails, park routes, etc.). That is why making such an app is exceptionally difficult because you are building a navigation engine ( & not relying on Google for directions). We, at GammaPoint, have all the technology & know how to build such an app. This is a daunting & time task consuming task which will take us 1-3 months to publish. 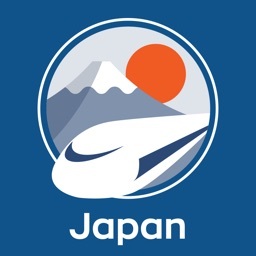 We would be interested in any beta testers that would be willing to load an app with their custom GPX files. Please let us know your thoughts on how we can provide an exceptional service to you. Note: Due to iOS 7.0 updates, we have been delayed with the promised updates. Our team is working hard to provides the updates soon. 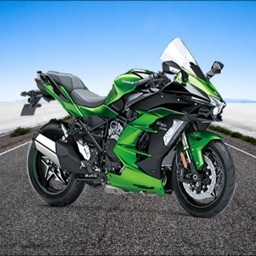 of the app, coming out next month. 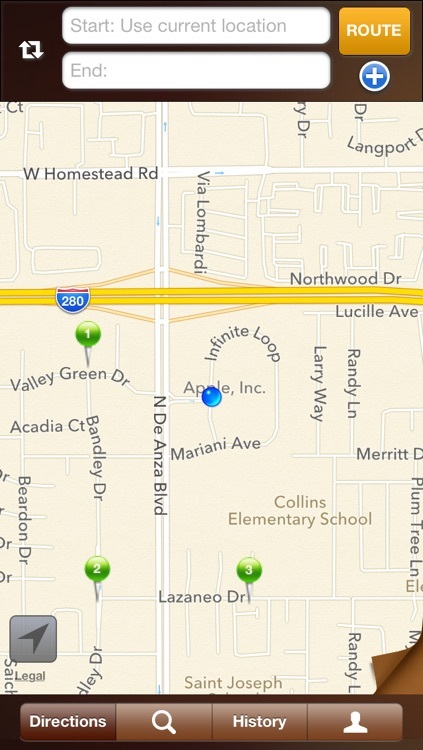 NOTE for iPod/iPad users: If your device doesn't have a in-build GPS receiver, you would need an external GPS device. Note: Continued use of GPS running in the background can dramatically decrease the battery life.